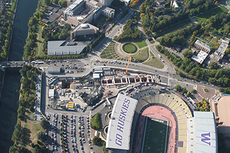 The twin bored tunnels travel 3.15 miles from downtown Seattle to Husky Stadium. 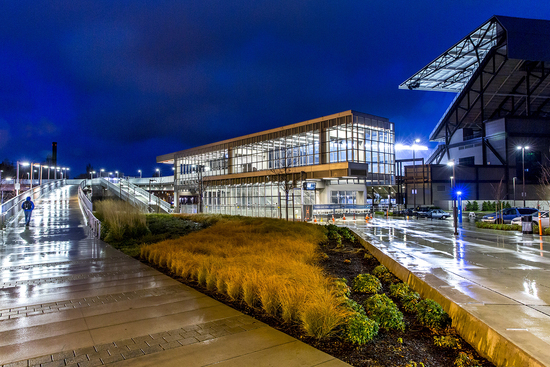 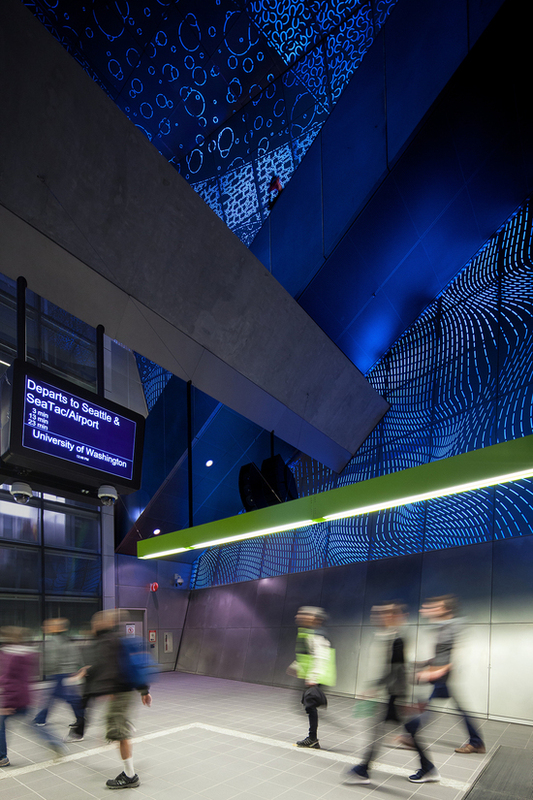 The new station is a hub for buses, light rail trains, bicyclists and pedestrians. 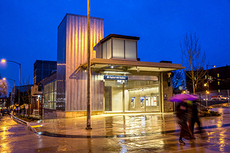 Capitol Hill Station serves the busy Broadway area near Seattle Central College. 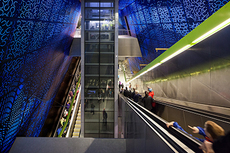 It connects to University of Washington Station to the north and the Downtown Seattle Transit Tunnel to the west. 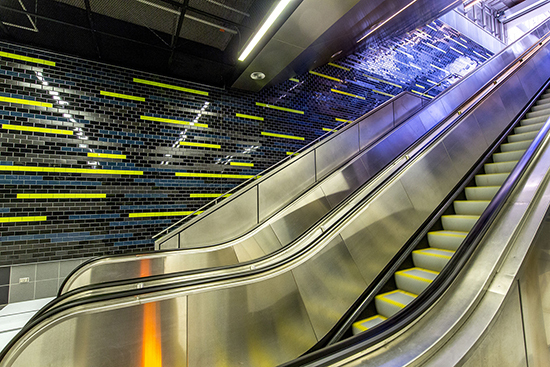 A vertical circulation chamber features “Subterraneum” art walls by Leo Saul Berk. 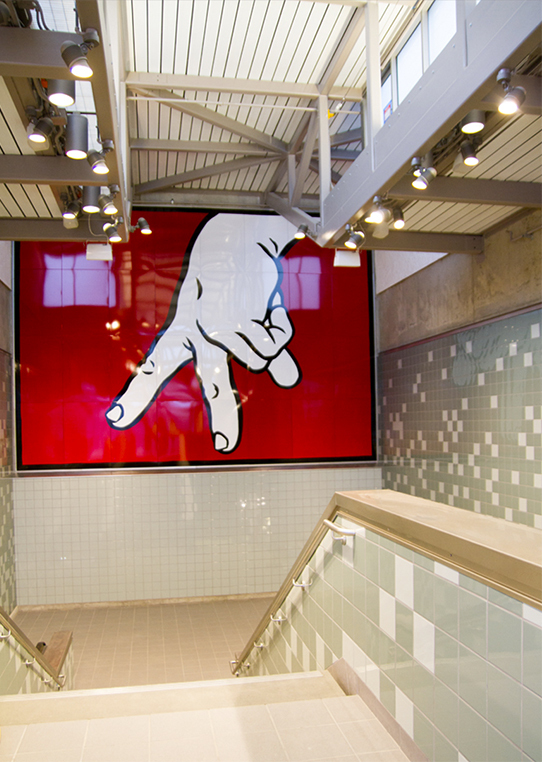 Art by Ellen Forney is displayed at the west entry to the Capitol Hill station.